***Sign-Then-Drive*** lease terms above include 7,500 miles per year for 36 months. $0 down payment, $0 Security Deposit, $0 First Months Payment. Taxes, license/tag, registration and dealer fees are extra. All leases are on approved credit. Offers are based on selecting an in stock vehicle and are subject to prior sale. Offer applies to listed VIN. Additional vehicles at the same MSRP may qualify for a similar payment. Offers can be changed at any time based upon terms provided by Palmetto57 Volkswagen and the approving lease company. Prospective customers are encouraged to submit an online inquiry to secure a personalized quote on a specific vehicle. 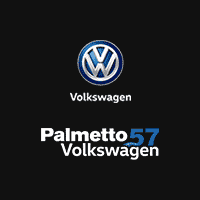 Must Qualify for Palmetto57 VW Loyalty Incentive. Offer Expires 4/30/2019. VIN: 3VV1B7AX3KM049763.